I am a collector. I collect loads of stuff and rarely ever get rid of it. I have clothing that goes back decades. I have two brass buckles for belts that are nearly 50-years old. I can’t recall how many times the actual leather has had to be replaced. I have my parents’ dining room furniture. I have two needlepoint chairs from my grandmother’s home and a tea service from my great grandmother. Additionally, I have collected things from places that I visited overseas in the past half century. My home is filled also with photos that I have taken while in foreign lands. I can tell you stories about all my possessions from here and abroad. 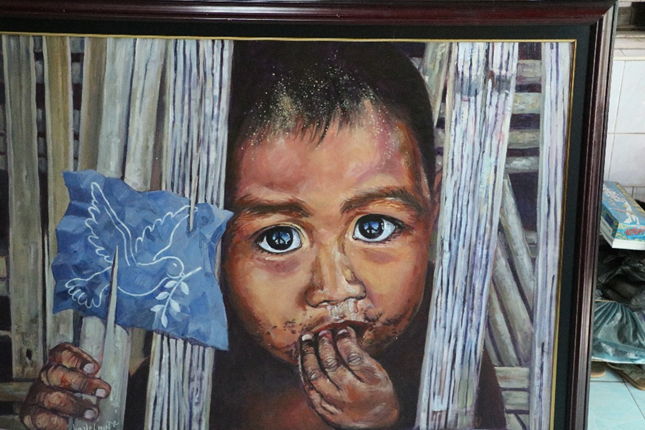 I recently returned from Myanmar/Burma in early January. 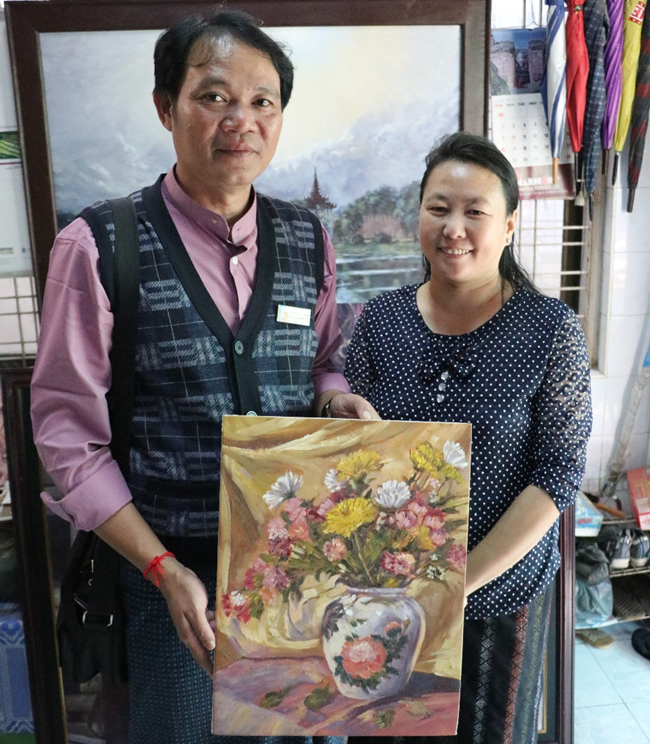 I returned with some priceless objects that I purchased in Myanmar. 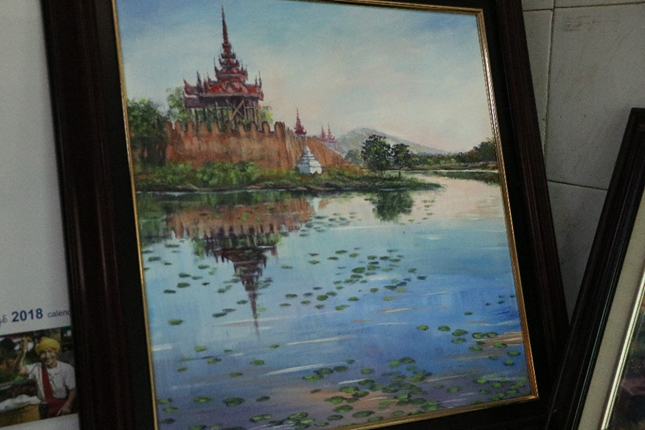 However, I received four pictures from my tour guides that I had on this trip in Myanmar. That has never occurred in a past half century of traveling. 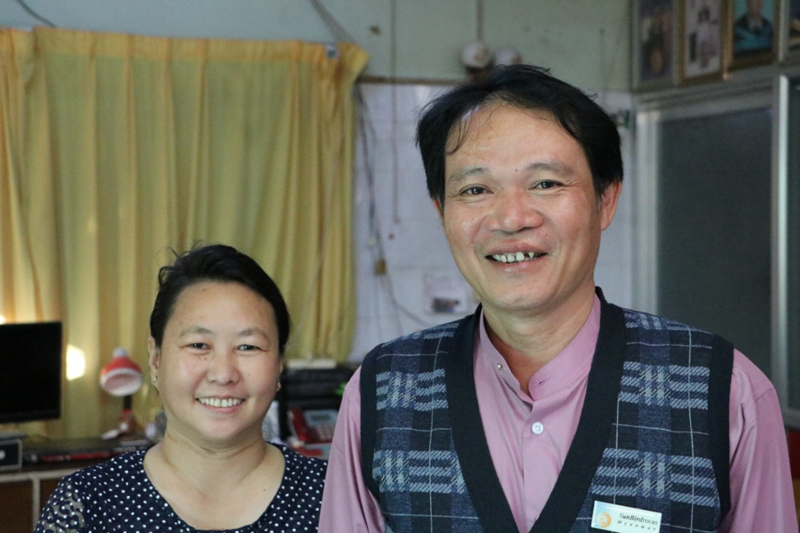 This is Than Tun Oo and his wife in his studio. Than’s uses Wai Le Linn as his artist’s name. 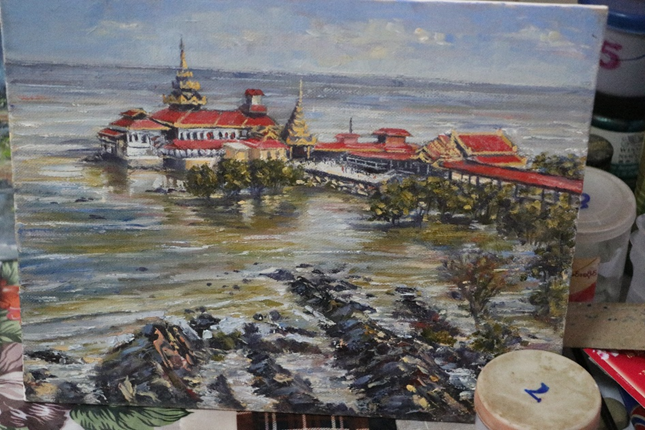 The following oil paintings are some in his studio, which contains dozens more. Having taught art history, there aren’t many Western artists that do portraits, still lifes, and landscapes. 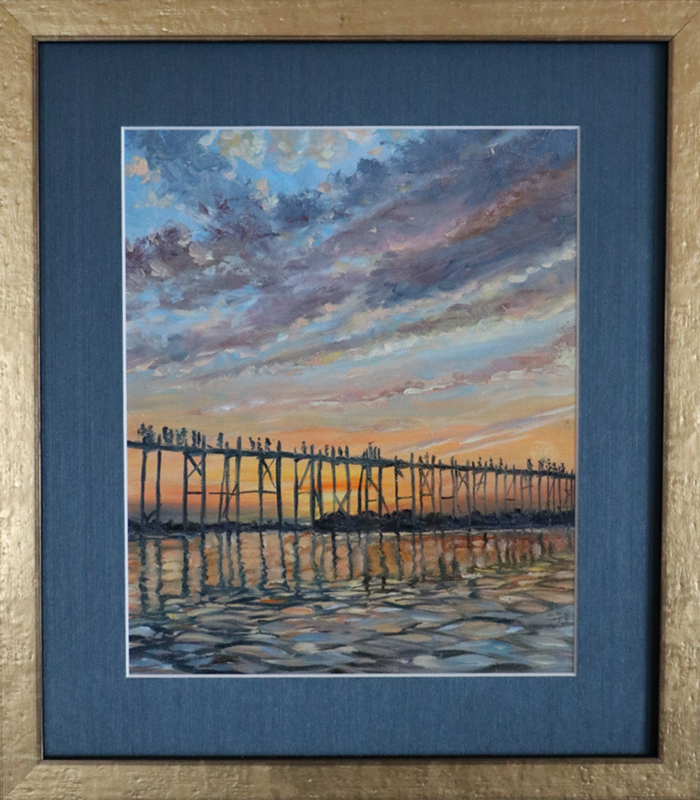 Most only do one type of painting; Than does them all. Than gave me two works that he created. 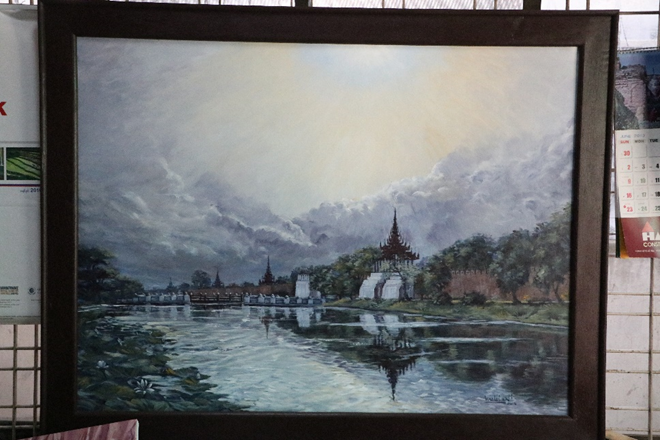 One of his gifts was an oil painting of the famous U Bein Bridge, often called the Teak Bridge. It is a quarter mile long bridge made from teak wood, which stretches across Taungthaman Lake near Mandalay. 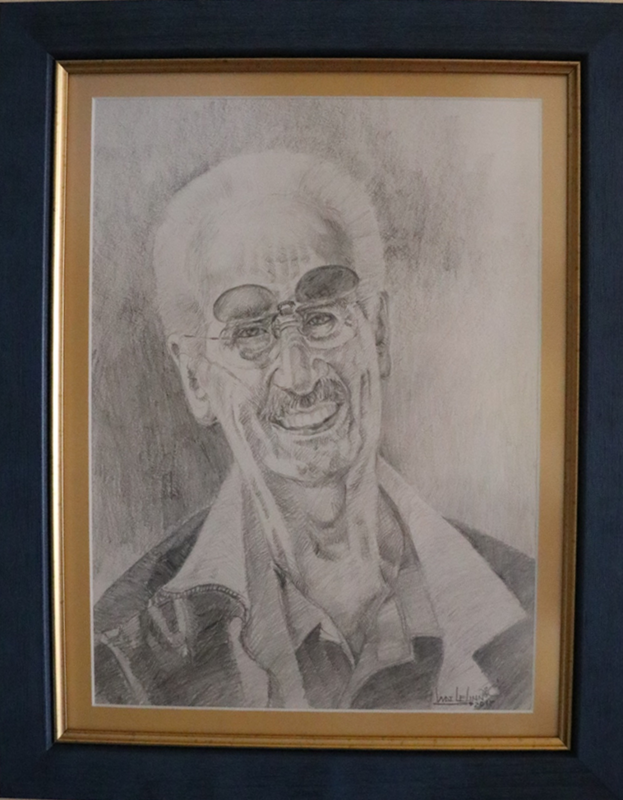 The other was a charcoal and pencil drawing of some very young and handsome guy from America.